Lance Henriksen Tells You "To Hell You Ride"
John Allison’s daily webcomic Bad Machinery and Scary Go Round are hilarious, the kind of strips where every panel makes you laugh out loud. As a result, John has earned a large, loyal following of readers that have followed his work daily for the past 12 years. 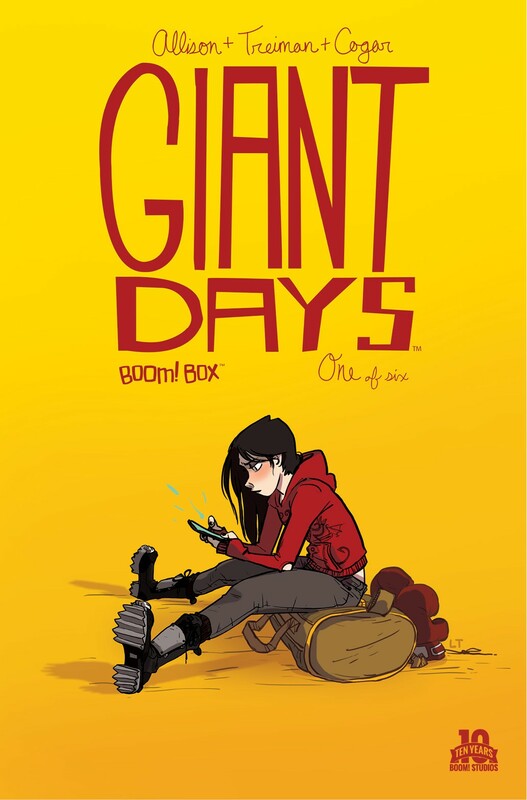 Giant Days is an entertaining, slice-of-life look at three friends away at university, and is a series fans of things like Scott Pilgrim will not want to miss! What It Is: Susan, Esther, and Daisy started at university three weeks ago and became fast friends. Now, away from home for the first time, all three want to reinvent themselves. But in the face of handwringing boys, ‘personal experimentation,’ influenza, mystery mold, nuchauvinism, and the willful, unwanted intrusion of ‘academia,’ they may be lucky just to make it to spring alive. Collects issues #1-4. This series was recently announced as an ongoing, and for good reason. Giant Days chronicles the day-to-day adventures of three college women, and the interpretation is spot-on. For manga fans, I highly recommend this series because of its portrayal of slice-of-life storytelling. 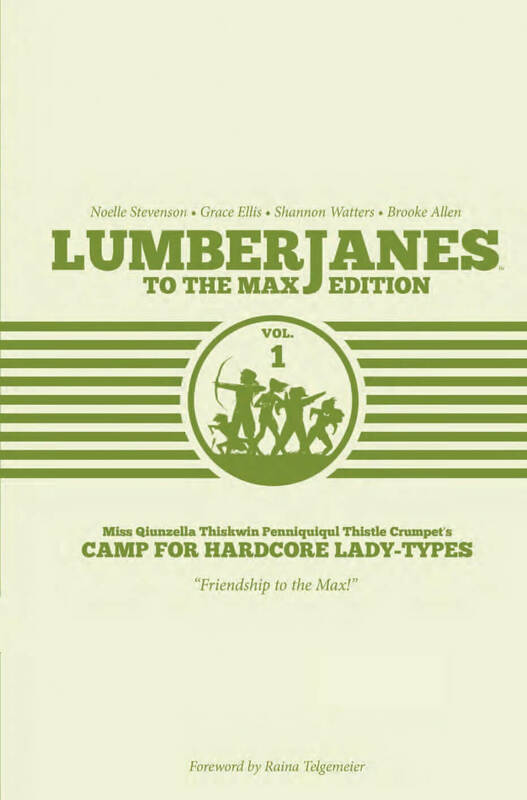 Surely by this point you’ve at least heard of Lumberjanes. Regardless, this is a great collection for those of you who crave excellent editions of your favorite series to display on shelves. 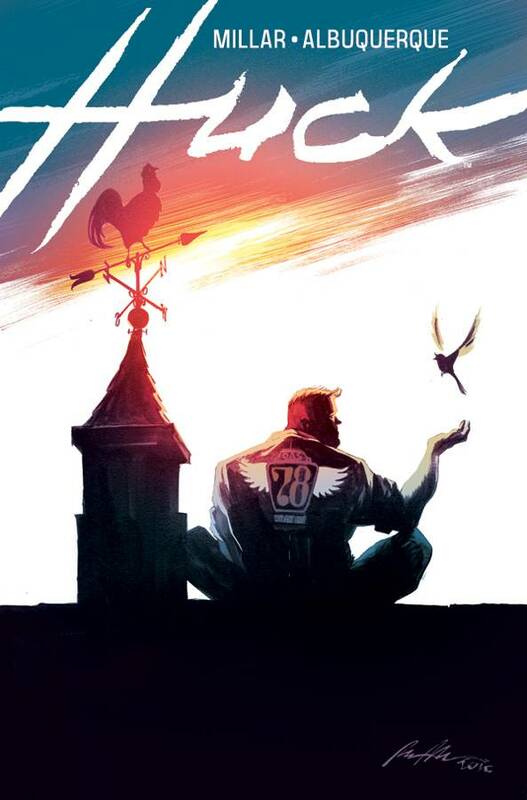 In a quiet seaside town, Huck uses his special gifts to do a good deed each day. His neighbors return the favors by keeping his abilities a secret. But when a newcomer alerts the media, a firestorm erupts, sending Huck on an adventure that will change everything. This brand-new series from writer MARK MILLAR and artist RAFAEL ALBUQUERQUE presents a comicbook unlike anything you’ve read before. Featuring a Feel-Good Movie variant cover by RAFAEL ALBUQURQUE. I love Huck. He’s such a good-natured man, one that comics sorely needs in this era of grimdark noire stories. The set up is simple and enjoyable to read, and I’m excited to see how he handles the awful things of this world. 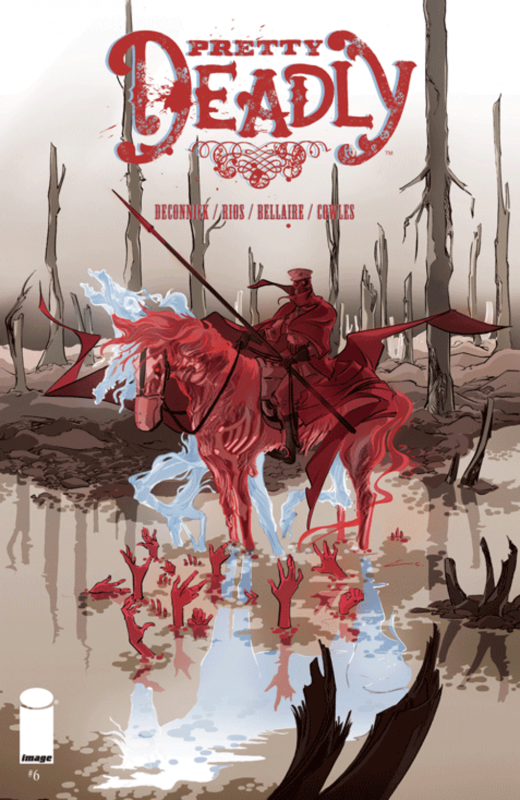 For a while there, I thought we’d never see another new issue of Pretty Deadly. It’s been forever since I read volume one, and, after reading this issue, I’m itching to go back and read the first arc. Even though my memory fades on a lot of the details, this is a good start to a new arc. Plus, some Valkyries bonus features in the back. 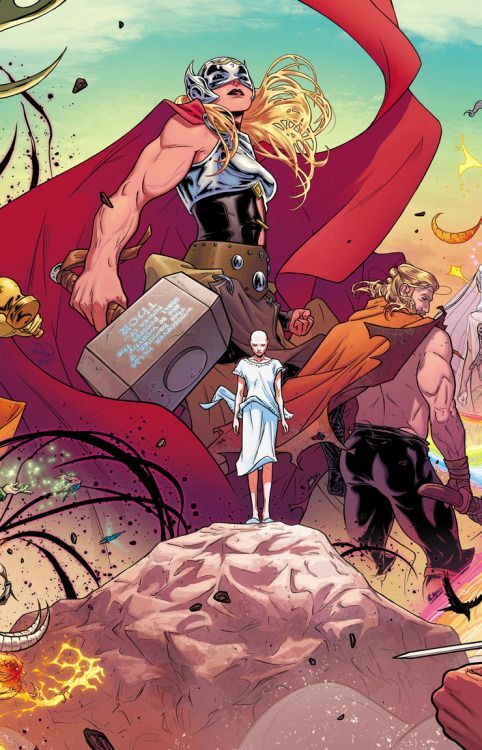 When DR. JANE FOSTER lifts the mystic hammer Mjolnir, she is transformed into the Goddess of Thunder, THE MIGHTY THOR! Her enemies are many, as Asgard descends further into chaos and war threatens to spread throughout the Ten Realms. Yet her greatest battle will be against a far more personal foe: the cancer that is killing her mortal form. Dear Jason Aaron: please write Thor for years and years. I’m so pumped for this new stage of Thor and Odinson, especially after how marvelous the previous volume was. Also, Russell Dauterman is one of my new favorite artists. YAS. 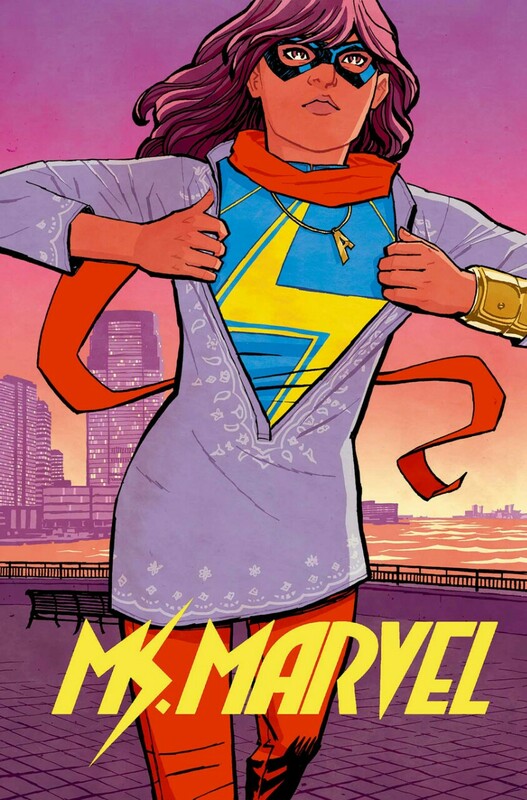 After the Last Days arc, I’m craving some more KAMALA KHAN. 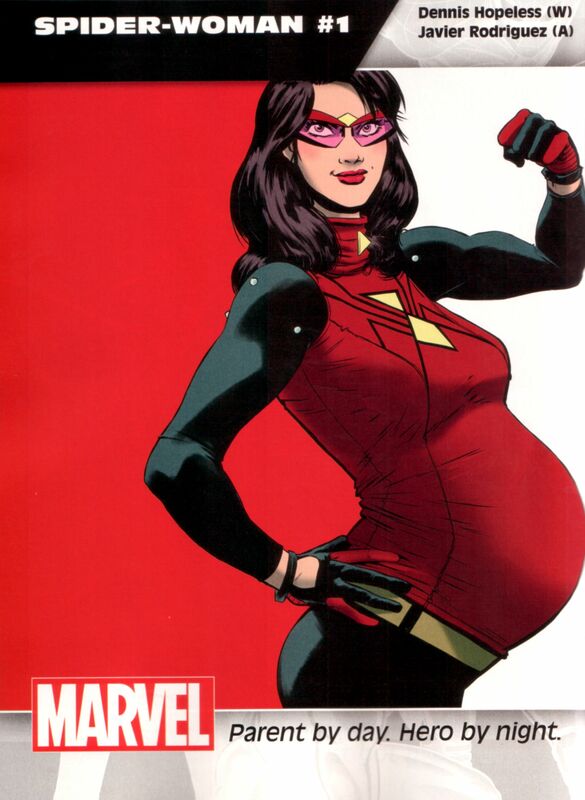 Jessica Drew is a private investigator, a super hero and… a mom to be? Since we last saw her, Spider-Woman’s got a whole NEW responsibility — she’s super heroing for two now, after all! Ben Urich and Porcupine are still along for the adventure, too, and aren’t making Jess’ life any easier – half the time they won’t even let her leave the car! 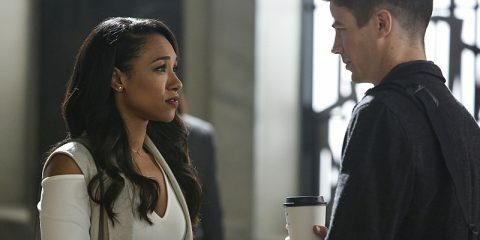 How’s a gal supposed to save innocent people and keep herself out of harm’s way? See how in the mother of all Spider-Stories! Spider-Woman had a rocky start due to Spider-Verse as far as a first issue goes, but I have a good feeling about the beginning of this series. Hopeless and Rodriguez were on a roll before Secret Wars hit, and they’ll hit the ground running in this new iteration of the private investigator. Plus: what’s this pregnancy all about?! When Darth Vader accidentally finds himself facing off against the Rebel Fleet on his own, the rebels will learn the true strength of the Dark Side of the Force! Once Vader crashes on a nearby planet, the Rebellion is willing to risk everything for this once-in-a-lifetime chance to take out one of their biggest enemies! Luke! Vader! Leia! Aphra! Han! Chewie! And all manner of Droid, good and evil! Obviously, if you’ve been reading Darth Vader and Star Wars, you’ll already be picking this one up. 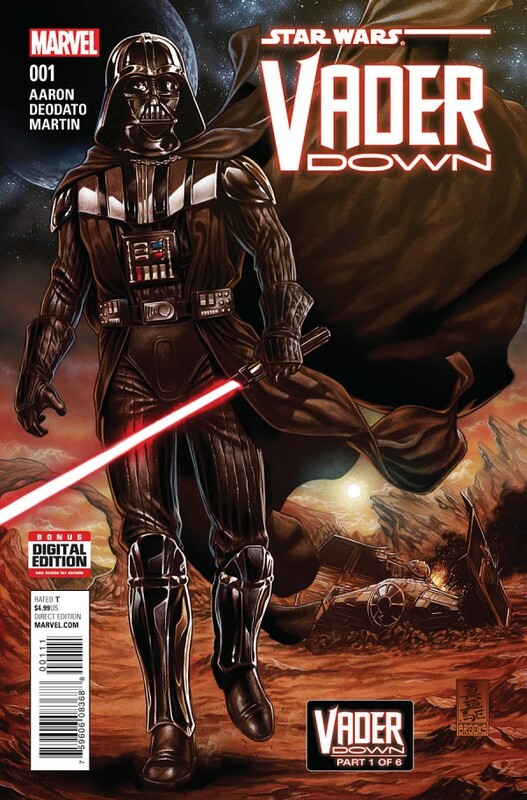 This is the first crossover comics series of the Marvel Star Wars canon, so this is definitely one you won’t want to miss as the canon gears up for it’s second year. That’s it for this week’s pull list! If you have any recommendations for comic fans (and non-fans) out there, share them in the comments section! Black Widow To Share The Lead Role In Captain America: The Winter Soldier?